Recently things have been very good and not so good. Hopeful and yet so very, very discouraging. I am walking the balance between despair and contentment. It's a tricky thing. I had my vision corrected last week. I can now see 20/20 (and perhaps even a little better in one eye). That means that when I wake up in a blur with my daughter in the morning, the first thing I won't have to do is clumsily feel around for my glasses and put them on my face, trying to avoid getting finger prints on them or dropping them on the floor. It also means that she can't knock said glasses off my face when she's upset. This was a very good thing. I am so deeply grateful for the surgery and that healing has gone so well. The surgery meant a much needed and appreciated rest in the big city where I saw this sign that made me think of a very dear college friend. I think this is beautiful. It is worn, but just in the right way. The colours make me happy, much like my friend does. 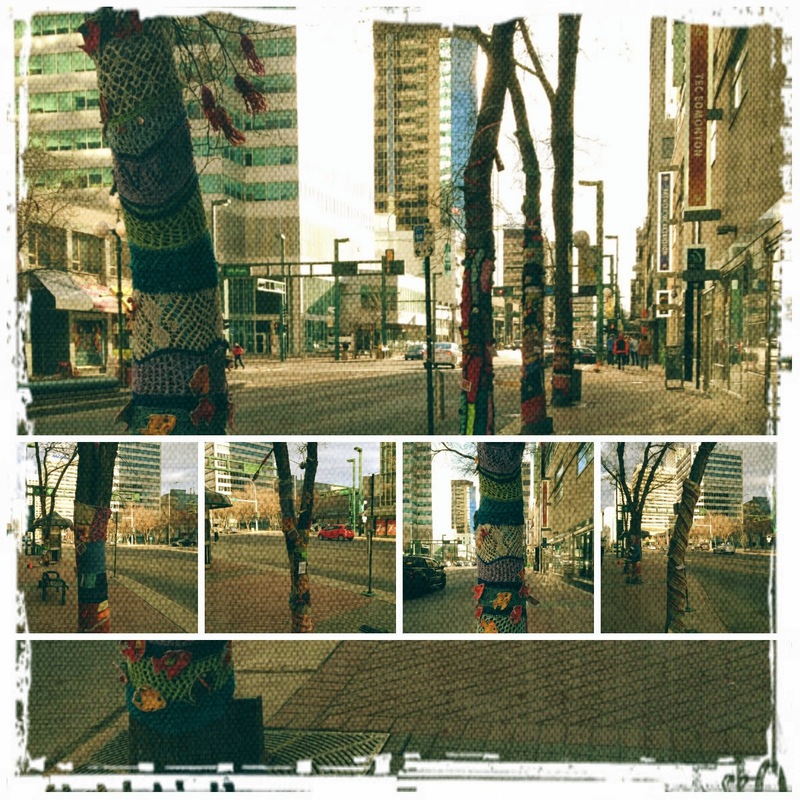 I also saw these yarn bombed trees. They made me think of Connie, who introduced me to the concept of trees with clothes. I took pictures to show her because I thought she'd like to see sweaters on trees in Canada. Hey! 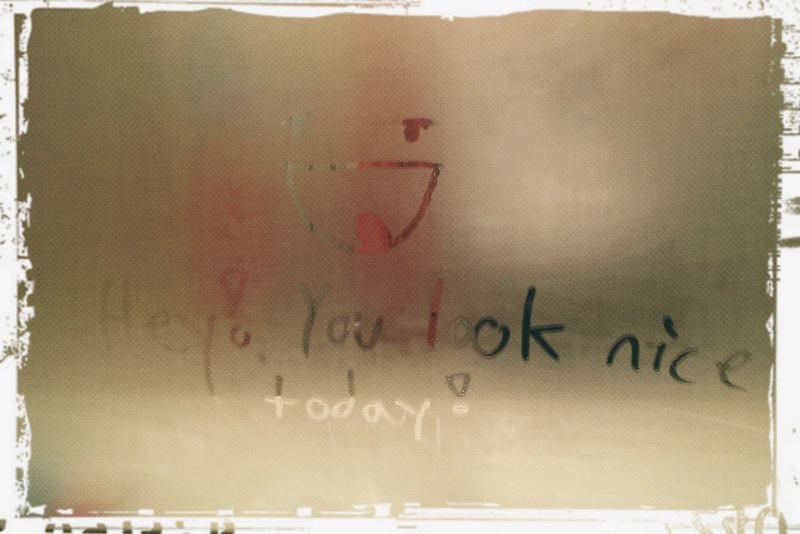 You look nice today! One day, I walked into the bathroom, which was dripping in steam from a certain someone showering, neglecting to turn on the fan, and then leaving the door closed. I then saw that that same someone had written on my clean mirror and I was annoyed. But, my annoyance was tempered when I saw what was written. How lovely to see my preteen feeling good about himself. And it was a good message for me to see, too. Life in SMS land has not been easy lately. 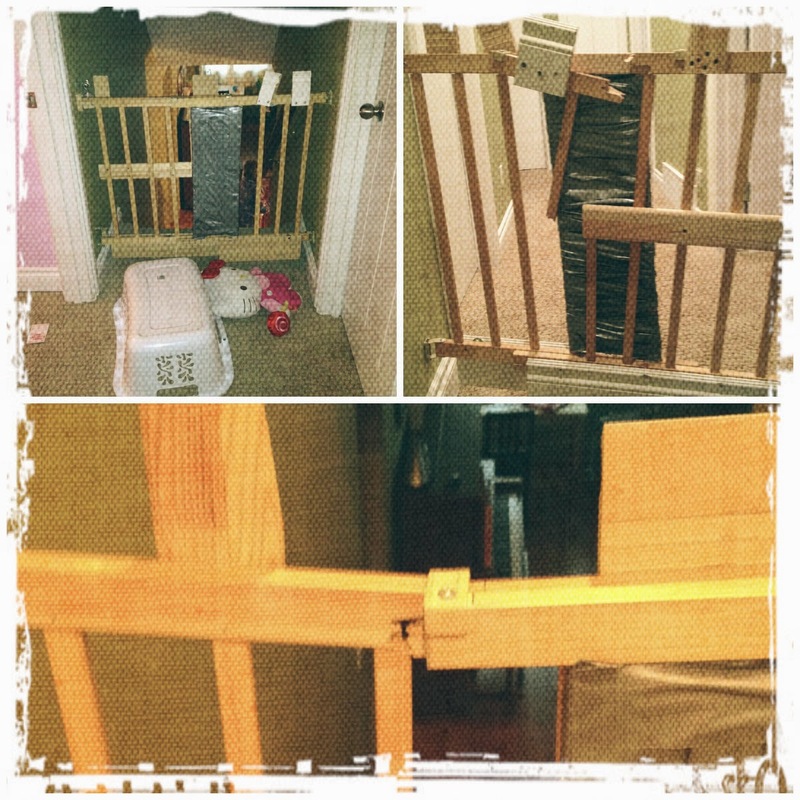 I think we are finally ready to say goodbye to our trusty gate that has guarded the downstairs at night for years now. It seems to be beyond fixing. And I have found my daughter downstairs a couple times now after waking up in the morning. I come down to a little girl chugging coke from a 2 litre bottle. Chocolate cake ground into the carpet. Packed lunches spread all over the floor, packages and containers opened, her favourite items taken out and consumed. The freezer open. Crumbs. Spills. And Finleigh smiling as if nothing has happened. I heave a sigh and move on. We are struggling with behaviours as her aggression is increasing and her obedience seems to have become non-existent - not that it was exactly stellar before. We are at a loss. We really just don't know what to do anymore. So, in creeps the hopelessness and discouragement. The wondering how on earth we will be able to weather another 10 or 20 years of this. All the interventions we've tried over the years and things are just getting harder as she gets older. The challenge is not to let the latter overshadow the good stuff. And it is a challenge. A seemingly insurmountable challenge. But I'm trying and I guess that's better than not trying at all. I'm so glad your eyes are better. And ... sigh. I'm so sorry about the aggression and the stress and the hopelessness and discouragement. 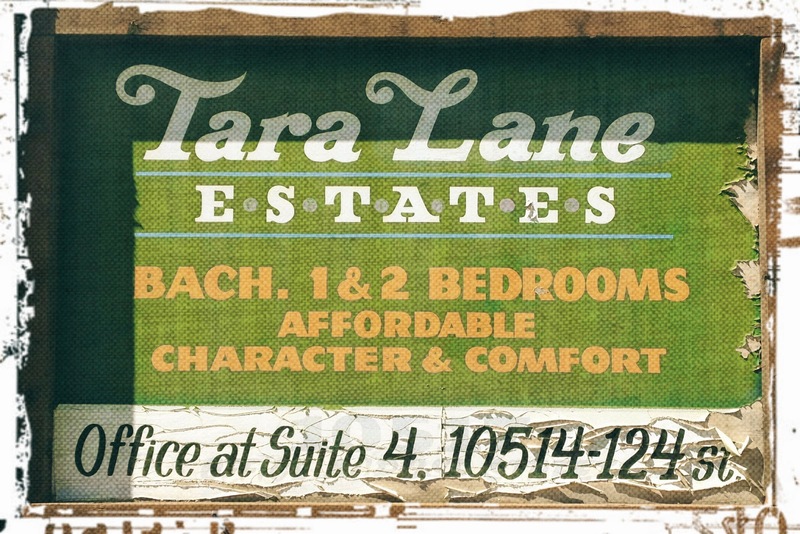 Maybe we should all just move to Tara Lane estates and live happily ever after?